Gold with cluster of pearl simulants., probably essence d'orient over a lac core. Ear ornament (koppu) worn at the top of the ear. 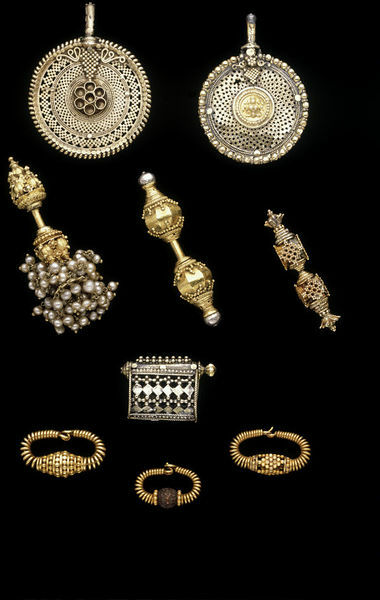 Gold with imitation pearls depending from the lower portion. Purchased from the Colonial and Indian Exhibition, 1886; possibly bought in India for the exhibition by Caper Purdon Clarke in 1885. 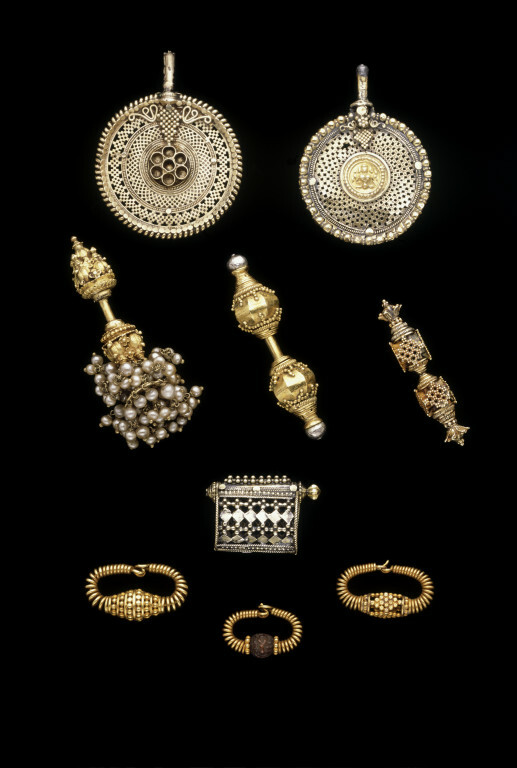 Ear ornament (koppu), gold with a cluster of pearl simulants, Southern India, c.1885. Southern India, recorded as from 'Madras', which may however refer to the Madras Presidency rather than the city (now Chennai). 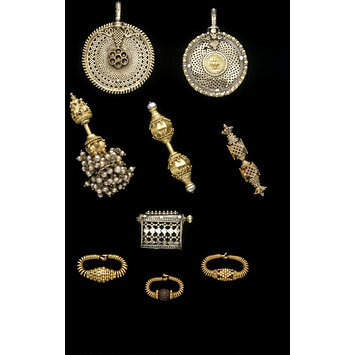 Ganguly observes that koppu with pendant pearls were 'fairly common in Karnataka and Andhra Pradesh'.